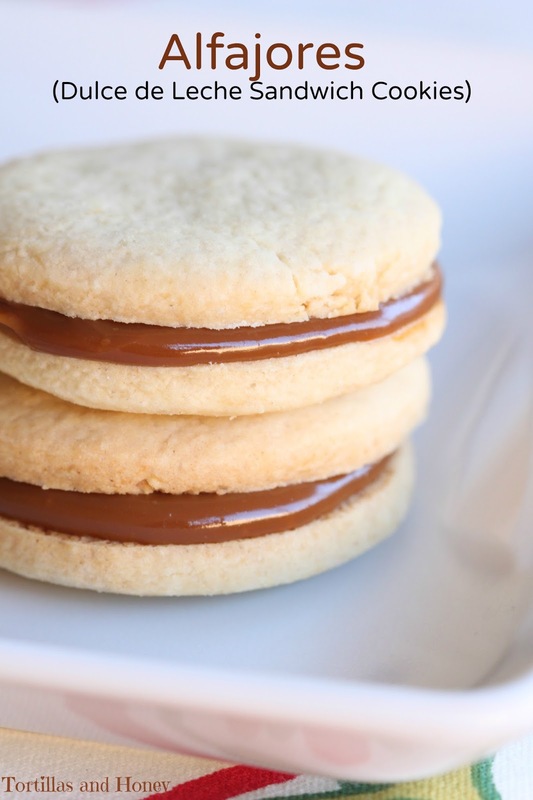 I love dulce de leche so I can imagine I would love these cookies. Thanks for sharing! These look beautiful! We made Alfajores recently and loved them! Thanks for joining the party! I love your alfajores recipe! I mean dulce de leche? in a cripsy sweet crumbly cookie!! there no much more you can ask for! I have never heard of these till this year! What I have been missing...can't wait to try these! Thanks for coming to #IntnlCookies. I have never heard of these but they are certainly perfect looking cookies and they sound delightful. these alfajores are gorgeous!!! I love the creamy dulce de leche! Your cookies look like they were made by a professional and would cost a few bucks! Such beautiful cookies! Ooh, a dulce de leche raspberry filling sounds perfect. Wow, two cookie swaps? Major props to you, Renee! I think you deserve some cookies as a reward ;) these look absolutely delicious.